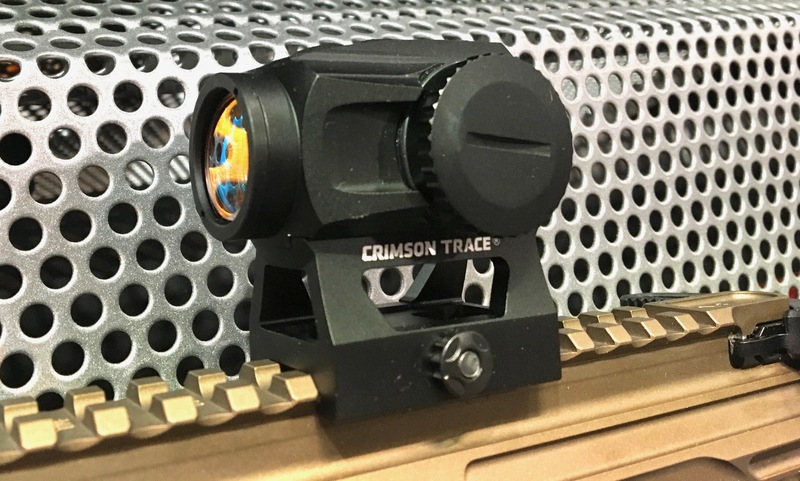 Crimson Trace has long been known for their lasers and lights and has a few new offerings of those here at SHOT 2019, but what is most surprising is that they now have a full optics line. Crimson Trace didn’t just dip their toe in the waters they jumped in full cannonball style. 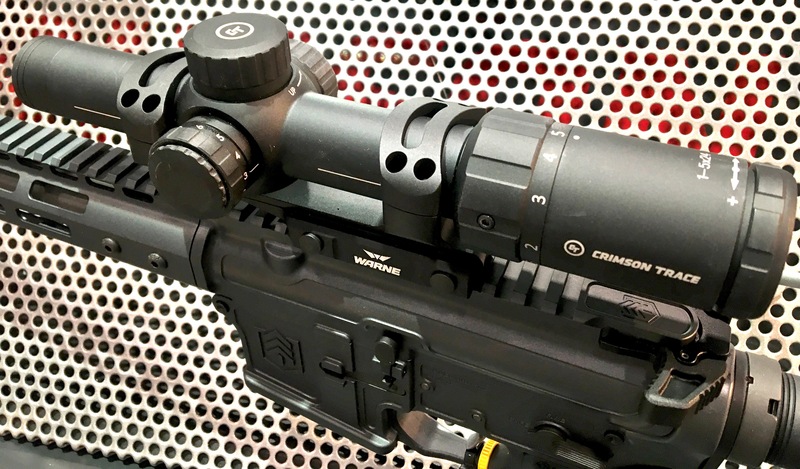 They now are offering 11 different variable power scopes and five red dot type optics, they came to the party with something for everyone. The scopes are broken into three different series (5-Series, 3-Series, 2-Series) offering a variety of features and price points that increase as they go up the series lines. A notable point in the scope line is that all the scopes are First Focal Plane (FFP). Leveling lines can be seen matched up with rings resolving installation woes.Five of the scope models are offered with Minute of Age (MOA) reticles and adjustments while the other six models are a Mil/Mil configuration. There are six reticles used across the 11 scopes, each paired to optimize the magnification range and reticle design. The 5-Series scopes magnification ranges are 1-8x, 3-18x (50mm), and 3-24x (56mm). All 5-Series scopes are built on 34mm tubes and feature Extra Low Dispersion Glass (ED); in fact, all 11 scopes feature the ED glass. MSRPs run $1499-1999. Markings on turrets and illumination dials are clear and easy to read. Three-Series scopes have MSRPs from $999 to $1,199. Power ranges run from 1-5x, 1-8x, 4-20x and 5-25x. The 1-5x and 4-20x are built on 30mm tubes, while the 1-8x and 5-25x are on 34mm tubes. The 2-Series scopes are all MOA based adjustments and reticles. The 2-Series 1-4x, 3-9x and 4-16x are built on 30mm tubes and the 6-24x is on a 34mm tube. The MSRPs for 2-Series scopes run between $499 and $849. Variable intensity illumination is available on many models. A great feature included on all the scopes (that is way overdue) is leveling lines on the sides. 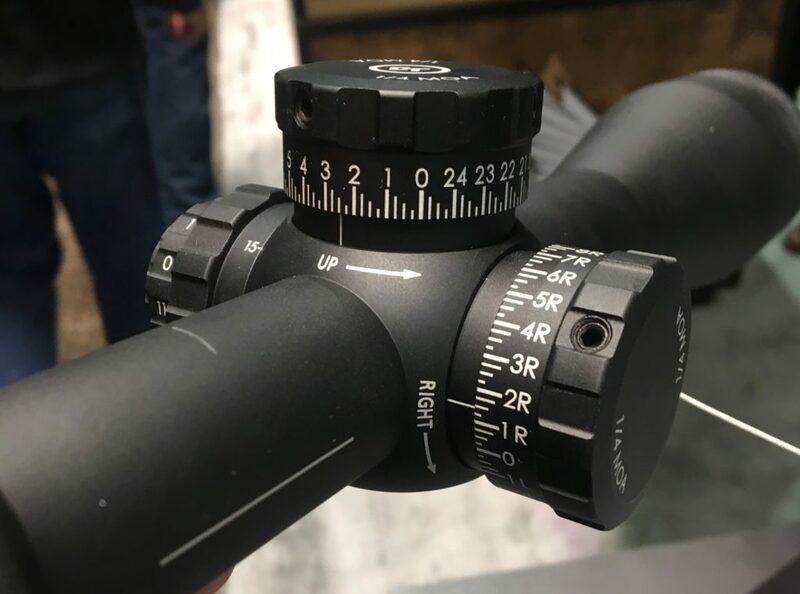 These lines are designed to allow users to easily level the scope by matching up the lines with the break in the horizontal split mounting rings. Too easy, why hasn’t this been done sooner? CT’s red dots fit perfectly. In addition to the scopes above the Crimson Trace’s optics line has 5 red dot-type sights, each designed for slightly different applications. 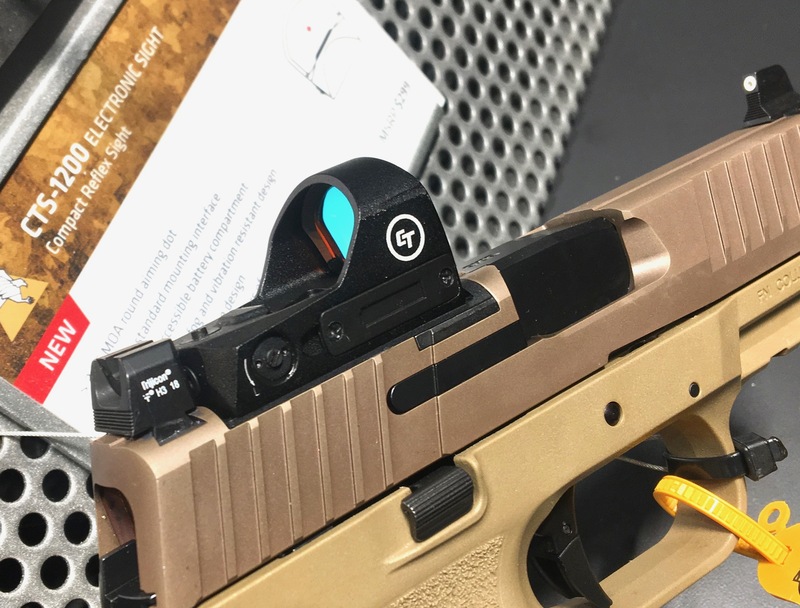 The smallest is designed for mounting on a handgun slide as is all the rage these days while the largest offerings are designed for mounting on AR-pattern platforms. Purpose-built mount sets optic at the proper height for comfortable mounting on AR15s. 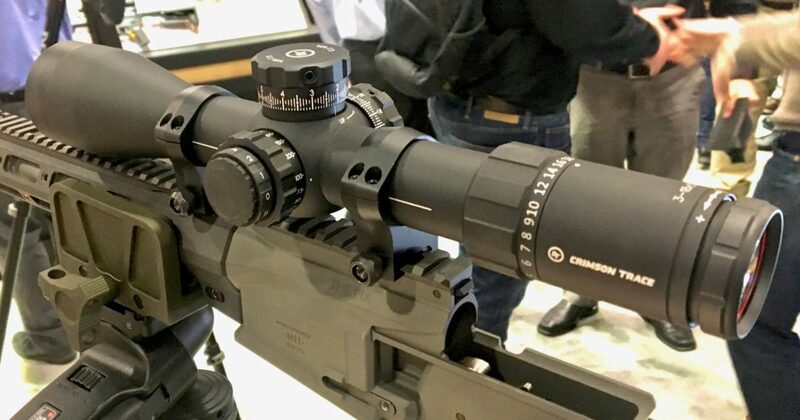 Since CT has been building electronics-based products that stand up to the recoil and rigors of hard use I would expect no less from their new optics lineup. The red dot optics are shipping now and the scopes should be showing up on dealers shelves in the March timeframe. Happy hunting! For more information visit CrimsonTrace.com.